Or just the 911 emergency operator. Because you are speaking through the pendant, FreedomAlert allows you to personally communicate your emergency from anywhere in your home or yard. Emergencies can happen anyplace. And just one button activation. Voice prompts provide easy set-up and testing. Base unit comes with 4 rechargeable batteries to provide up to 10-12 hours of standby power in the event of a power outage. Need others to share the system in your home. No problem, you can add as many additional Pendants to one Base unit as you wish. The cost of this system is $279.00, please click the following link to order from Home Controls http://www.homecontrols.com/LogicMark-Freedom-AlertTo help us track your order please enter “coupon code 184906” when placing your order. SensorPlug is a Motion Activated Plug-in Electrical Outlet. Its’ plug-in design eliminates wiring and associated expenses common to other motion activated products. The passive infrared (PIR) motion sensor used in this product offers the convenience of controlling many of the household electrical products – not just lighting – by motion. 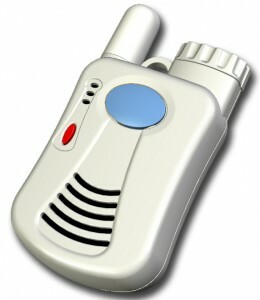 It is the only motion activated product that can be used to control lighting as well non-lighting electrical products. In the “L” position, whatever is plugged into the SensorPlug’s outlet will turn ON when motion is detected and the ambient light level is low. In the “O” position, the SensorPlug’s outlet is energized whenever motion is detected regardless of the ambient light level. 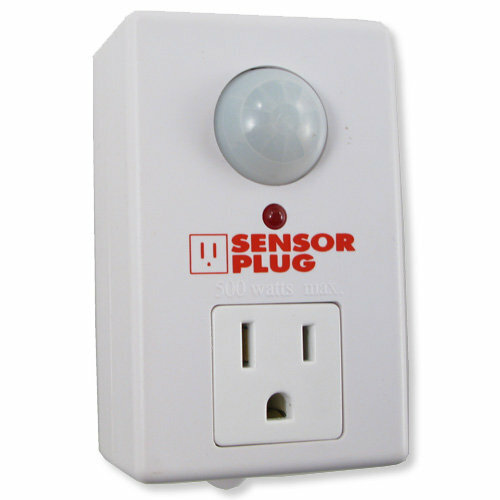 This feature allows SensorPlug to be used for controlling non-lighting fixtures such as a fan, a radio etc. The PIR activates SensorPlug’s outlet when motion is detected and keeps devices ON for a pre-selected time based on the timer position. The timer resets to zero every time motion is detected within the time interval set by the timer setting allowing you to keep electrical devices ON for as long as room is occupied and motion is detected. Power to the SensorPlug’s outlet automatically turns OFF after the pre-selected time set by the timer if no motion is detected. At Partners in Healthcare, we encourage families to constantly evaluate the safety of their home, products that may improve that safety may be found at the Home Controls website. To help us track your order please enter coupon code 184906 when placing your order. Learn more about our central Florida home care services and our commitment to safety please call 407-788-9393.